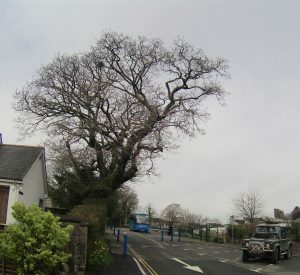 This Oak (Quercus robur) was formally a hedgerow tree and has been previously worked on 20 years ago or more, with large limbs (scaffold limbs) to the the lower canopy being removed to the left and write of the photo. A Visual Tree Assessment (VTA) was carried out, issues were monitored and a maintenance plan that will be spread over a 12 year time period. 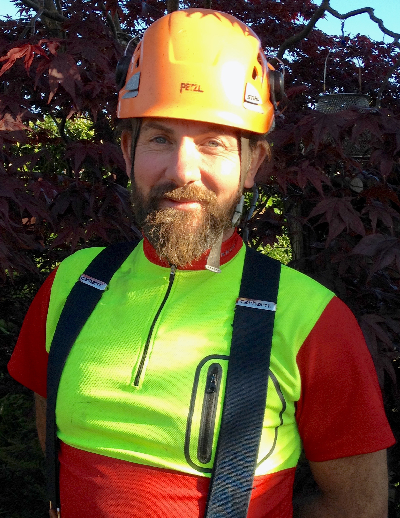 Photo’s and words by Adrian a Pembrokeshire Tree Surgeon of Arb-Aid Tree Care Specialists. The reduction was carried out in the winter so the tree was in full dormancy. This reduces the stress to the tree, enabling it to recover quicker. Also, theres no crows in the nest. The First spring growth and the canopy is looking strong and healthy. 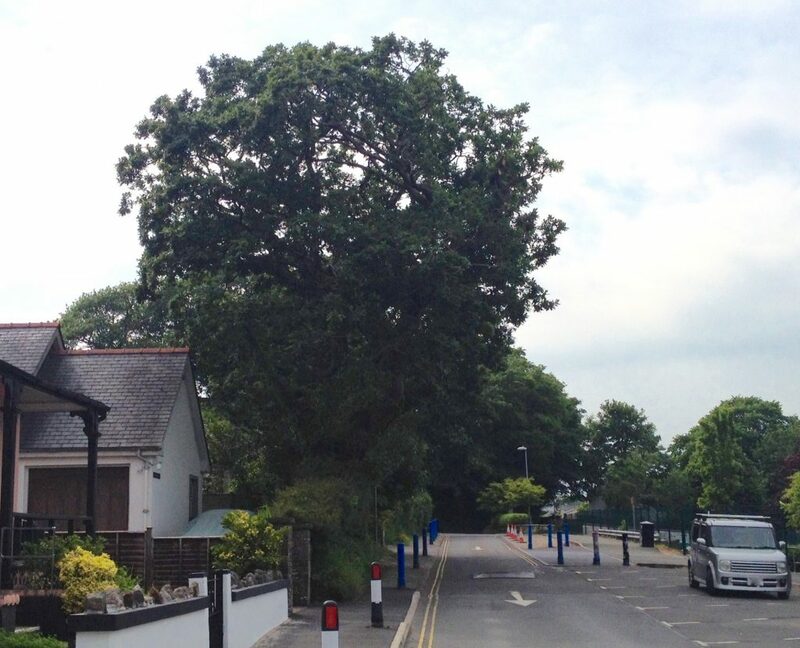 A good natural shape to the crown is very important for a tree of such prominence in the local landscape. The tree will again be reduced in 5-8 years time allowing for the inner canopy to establish from release of dominate bud on the onset of more light. This will then give the arborist target pruning points to re-establish another clean crown shape and minimising the risk of stress and rapid dominate bud opening, which will lead to a mass of water shoots at the end of a branch. The new shoots will create more weight to the limb, also the tree will natural discard some of the water shoots once the leaf percentage is balanced. The falling braces could cause serious damage to pedestrians and traffic below. 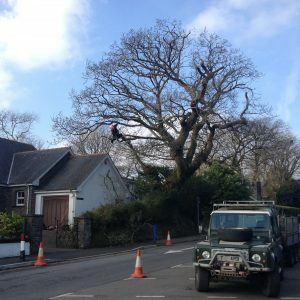 The publics safety is paramount when assessing a trees risk of failure and the methods of min amusing that risk for the future. 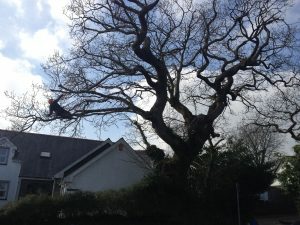 Some Tree Surgeons would advice to have a mass reduction (Pollard) in one go and this will cause serious stress to a tree of this age and it would not survive. If the tree was half the age this would be a viable option.